Spring has sprung. Everyone is out of the house, emerging after months of hibernation. There are enough people out that someone may have even yelled at you to get out of their way. It's truly the best time of year. Part of spring's majesty is that it marks the return of ice cream weather. Baskin-Robbins -- the ice cream shop with a different flavor for every day of the month -- has a deal that will help you double your dose or share some with a friend. (Though, who wants to do the latter?) It's offering a buy-one-get-one-free deal on ice cream cones. 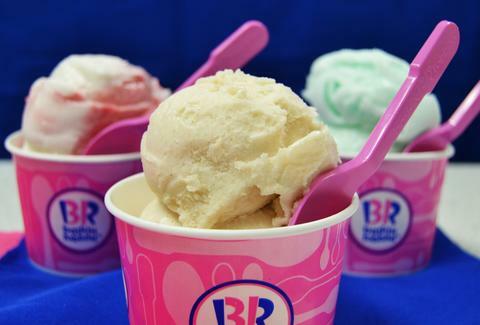 All you have to do is head to BaskinRobbins.com by April 30 and sign up for its ice cream-centric newsletter. Once you do that, you'll be emailed a buy-one-get-one-free coupon on May 1. The coupon will be good for BOGO ice cream May 1 through May 5, which means you can get after the new horchata ice cream on Cinco de Mayo. Additionally, in the Baskin-Robbins app, you can find a few bonus coupons for $1 off a sundae or milkshake and $3 off an ice cream cake. It's not as good as a free cone, but you can truly have it all if you want to. That's it. You'll have two ice creams to kick off the new month, which means you'll be well on your way to trying all 31 flavors in a single month. You can do it.